It’s a new year and you want to make sure that the whole family enjoys excellent oral health. You also want to take advantage of your renewed health insurance benefits. That’s why your dentist in Flint encourages you to act on your desires and bolster your family’s overall wellness by maintaining one of the pillars of oral care: visiting the dentist semi-annually for cleanings and examinations. Read on to learn why preventive dentistry is so important to adopt as a new family regimen and discover its many benefits. 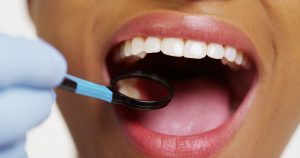 To Assess Your Oral Health – The term ‘preventive’ is used because the purpose of your examination is to prevent any minor issues that can be tackled early from becoming a major problem. Your dentist will probe your mouth, jaw and neck using the modalities of sight, touch and the powers of X-Ray photography, to give a full picture of everything going on with your oral cavity. Deliver a Thorough Cleaning – A thorough cleaning will remove built-up plaque and tartar that you can’t address at home. This gives you a fresh new start to your oral hygiene. Allow for Questions – If there are questions that you’ve had about you and any of your family members’ oral health, this is a great time to ask. Build Rapport – Your semi-annual dental cleanings and checkups are great times for the entire family to build better a rapport with your dentist, which helps to prevent any future anxieties that could arise about office visits. Why is Oral Health Important for Every Age Group? Oral health is important for every age group because no matter how old you are, your health is in a constant state of becoming. That means that it can deteriorate or improve. The direction it goes in depends on the habits that you create. Therefore, proper routines need to be incorporated into children’s regimens so that they’ll be in a fixed, healthy pattern throughout their adulthood. On the same token, adults need to be monitored to make sure that they haven’t picked up any bad habits, and if so, be given the information and care to correct them. Oral health is truly a family affair. The first of the year is a great time to act because insurance benefits renew, and offer you the best opportunity to take advantage of your coverage. Most carriers will cover up to 100% of your preventive dental care, but the more corrective the procedures become, the more you can expect to pay out-of-pocket. Thus, there is huge cost saving potential when you get the whole family on track with preventive dentistry and practicing excellent oral hygiene. Make this the year that you turn things around, by placing the initial call to your local dentist to schedule your entire family for their destiny with excellent oral health. Dr. Chitra P. Nail earned her Doctor of Dental Medicine degree from the University of Pennsylvania School of Dental Medicine and has been providing quality service to her patients since 1995. A member of the American Dental Association and several other professional organizations, Dr. Naik practices at Chitra P. Naik General Dentistry and can be reached for more information through her website. by: Dr. Chirta Naik at February 6, 2018 .